The Church of England has teamed up with cycling charity Sustrans to produce a series of tours linking the country’s Cathedrals and historic church buildings by bike. The Towers and Spires series are been created to provide a new way to explore the country’s magnificent church buildings. 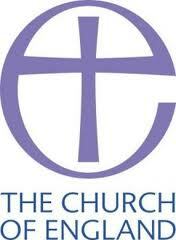 The materials have been published by ChurchCare which supports those looking after the Church of England’s 16,000 churches and 42 Cathedrals. The first route is based in Suffolk and has been published by ChurchCare in partnership with the Diocese of St Edmundsbury and Ipswich and supported by Suffolk County Council. The 30 mile circular route beginning at St Edmundsbury Cathedral takes in 11 churches through the Suffolk countryside . “We are delighted to be working with the Church of England and welcome the obvious enthusiasm for visiting church buildings using sustainable transport”.